Question One: Is knowing Jesus better than anything? Scripture contains several dozen “better than” statements. What’s better than fame? What’s better than wealth? What’s better than even life itself? I think about what I believe is “better than” being with Jesus. When I’m seated in Christ, I begin to believe that knowing Jesus and being with Him is better than any life I could design or even imagine for myself. Should I say that again? Knowing Jesus and being with Him is better than any life I could design or imagine for myself. What’s the very best life you could imagine for yourself? Marriage and children? Houses? A prestigious or meaningful career? Beauty? Fame? Wealth? Is knowing Jesus better than any of these? And by “better,” I mean this: Is knowing Jesus more pleasurable, more exciting, more satisfying, more meaningful, more purposeful, and more full than anything I have or hope to possess? Can I really say that? I think this question saved my life. It continues to save my life. But whatever were gains to me I now consider loss for the sake of Christ. What is more, I consider everything a loss because of the surpassing worth of knowing Christ Jesus my Lord, for whose sake I have lost all things. Did Paul honestly believe that knowing Christ Jesus was better than “all things”? Knowing and enjoying Jesus is the point of the Christian life, and when I lose this essential truth, I’m doomed to a life of forever chasing after the next dream. I will continually compare my life to that of others, imagining their happiness and their joy, while bemoaning my own situation. If the answer to the question “Is knowing Jesus better than anything?” is no, then why bother with worshiping that kind of God? If knowing Jesus isn’t enough, then of course we might turn to whatever does promise satisfaction. The problem with “if onlys” is that they don’t deliver what they promise. Truly, they don’t. My fight to want more didn’t end when I earned my PhD, published, married, and had children. The if onlys continued, imprisoning me in discontentment and longing. They did not ever provide the unfailing love, acceptance, and joy that comes in the presence of Jesus. They don’t ever provide the well-being and the shalom peace of completeness and absolute contentment (Psalm 29:11; Psalm 85:8) in the presence of the Prince of Peace. The women I know who’ve changed jobs, husbands, noses, and cities still suffer inside. The women I know who’ve earned PhDs, published books, traveled extensively, achieved fitness goals, or amassed wealth still want more. Eve was in paradise, and yet, she could be tempted by an “if only.” That brings me some comfort because if even in paradise, Eve was enamored with an “if only,” then I can be sure that regardless of my circumstances, I’m not alone in the power of the “if only” temptation that slithers into my own heart. The first question is my weapon against the “if only”: Is knowing Jesus better than anything? But how can I believe it? I asked God to help me believe it. I asked for the faith to believe it. I asked God to help me to know Him—not primarily as my provider or the One who blesses me (although He does both), but as my Lord, the almighty God. I asked God to help me worship Him like this. I will be with Jesus. I am with Jesus. 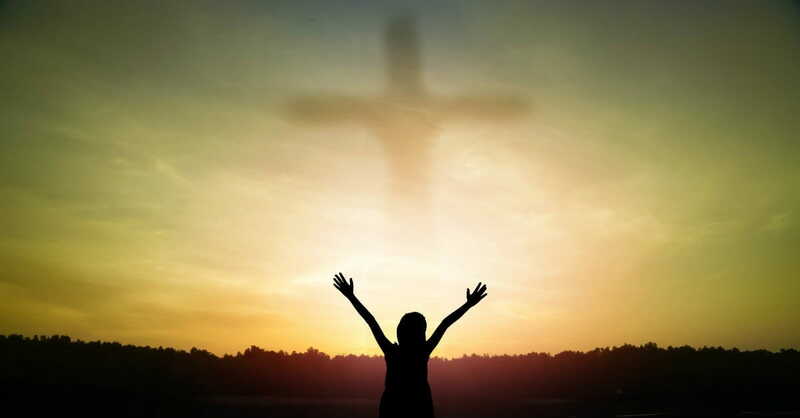 In my seat in the heavenly realms, I worship this God who set me free. Knowing this God is better than anything—even all the knowledge of the mysteries of the universe. Lord, help me to empty my hands and receive all of You. Knowing You is better than anything else. I turn away from these idols, my “if onlys,” and I pray that You help me to find fullness in You alone. This article is part of a 3-question series, read Question 2: Will I live the life God asks me to? here and Question Three: “Is there anything in my life that doesn’t please God?” here!